Last night we kicked off our fund-raising for the Master Cutler’s challenge at The Savoy cinema in Worksop. 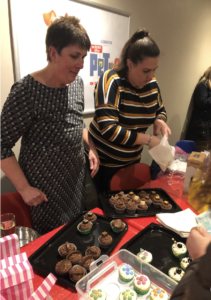 Prosecco, cupcakes and pick ‘n’ mix lifted everyone’s spirits before watching a film which could be described as well… “interesting”. We wish we had perhaps taken note of reviews before choosing the film. Not that it spoiled the evening or impeded people’s generosity. We were truly overwhelmed by their kind donations. We would like to thank The Savoy Cinema, Carl and Marsha Raynes along with Sue Payne and Lucy Butler for their efforts in making last night a huge success.